GridLinesDisplayMode (DisplayMode): Gets or sets a value that specifies whether the grid lines will be visible. GridLinesColor (Color): Gets or sets the color of the grid lines. GridLinesWidth (double): Gets or sets the width of the grid lines. 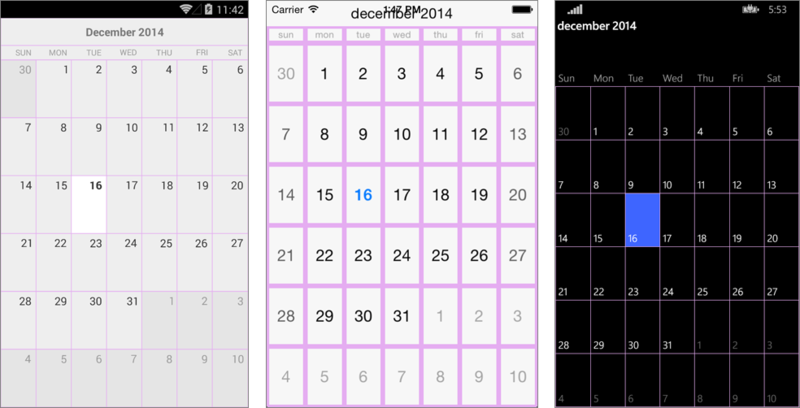 This example demonstrates how you can customize the calendar grid lines.